In the 1920s, a commercial niche formed along N.W. 16th Street between Blackwelder and Indiana Avenues. This development was in response to the area’s location at the end of the trolley line as well as the growth of neighborhoods around the district. With the addition of the Plaza Theatre in the mid-1930s, the area became known as the Plaza District. Located off of NW 16th Street between Classen Ave. and Pennsylvania Ave., today, the Plaza District is a neighborhood commercial district boasting Oklahoma City’s local arts flavor and is home to art galleries, studios, retail shops, restaurants, and creative services. 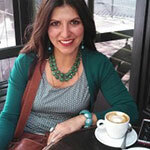 Several local businesses in this area are owned by young, creative entrepreneurs. The area is home to the renovated Plaza Theatre, which holds music and theatrical performances for Lyric at the Plaza. Also included in the area are the artist-made retail businesses, a quality custom tattoo shop, a popular local salon, a full-production modern local winery, and many shops for vintage and retro items. This district, once blighted by urban decay now boasts a renewed energy embraced by Oklahoma City’s youth and diverse culture. 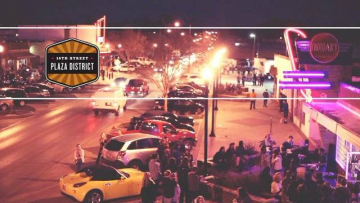 Each second Friday of each month from 7-11 p.m., the district is home to “LIVE on the Plaza”, a monthly artwalk featuring live music, featured artists, special events and local shopping. The Plaza District is nestled in between two neighborhoods, Gatewood Historic District on the north (16th, Classen, 23rd and Penn) and Classen Ten Penn Neighborhood on the south (Classen, 10th, Penn and 16th).